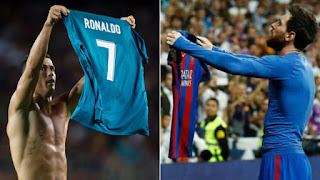 With both teams enjoying a good moment of form and about to face each other for the third time this season, Real Madrid and Barcelona will be hoping for a spectacular El Clasico to finish off the year, and the former, fresh from their Club World Cup triumph, will be looking to derail the latter, unbeaten since their last match at the Estadio Santiago Bernabeu. The reigning champions sits 11 points behind table-toppers Barca, though have a game in hand, and a third defeat of the campaign would create a near-impossible gap to bridge. The last time a Clasico was held on Christmas Eve Eve, Real ran out 1-0 winners at Camp Nou thanks to a Julio Baptista goal exactly a decade ago. Cristiano Ronaldo appears to have found his scoring touch this season, netting in each of his previous four games, so can he inspire Real to a much-needed Clasico win? Real Madrid Boss Zinedine Zidane has a fully fit squad to pick from for the crunch championship Clasico clash. Gareth Bale may have played his way into contention after impressing in the World Club Cup, with Isco the likely to make way if so. It is less good news for Barcelona. The squad returned to training on Wednesday morning, with Jordi Alba and Arda Turan working out separately from the group.